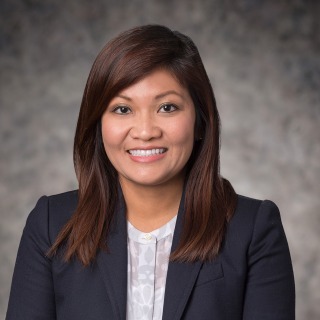 N. Tien Pham advises corporations, individuals and other entities on compliance, internal investigations, corporate governance, and securities and accounting investigations. Tien has represented clients on matters before the US Department of Justice, the UK Serious Fraud Office, US Securities and Exchange Commission (SEC), and the Financial Industry Regulatory Authority (FINRA). In particular, Tien has performed internal investigations (including those stemming from whistleblower reports) and due diligence exercises around the globe, including in Brazil, China, Japan, France, Kuwait, Indonesia, Cyprus, Thailand, and Venezuela. Tien has led trainings on anti-corruption risk assessments and third-party due diligence reviews and has developed and enhanced policies and procedures in key risk areas for domestic and global organizations across various industries. Tien also has experience conducting securities investigations involving alleged disclosure and accounting improprieties, insider trading, stock fraud and trade manipulation. She has successfully represented corporations and individuals in investigations and inquiries by the SEC and FINRA. Prior to joining Hughes Hubbard, Tien was a tax associate at a large national law firm. Prior to entering law practice, she was a securities fraud analyst at the Financial Industry Regulatory Authority and an auditor at Ernst & Young LLP. Tien also law clerked for the SEC’s Enforcement Division and the Maryland Attorney General’s Securities Division. She has taught numerous auditing and forensic accounting courses, including at American University, Georgetown University Law Center, and the U.S. SEC. Tien welcomes relevant speaking engagement invitations. Tien is a Board Member of the Vietnamese American Bar Association of the Greater Washington D.C. area. She is also a certified public accountant in the states of Maryland and Virginia. Current representation of Sudanese individual on a pro bono basis seeking asylum in the U.S.